Jay R Smith Mfg Mobile Showroom Vehicle Virtual Tour & Dates - Jay R. Smith MFG Co. 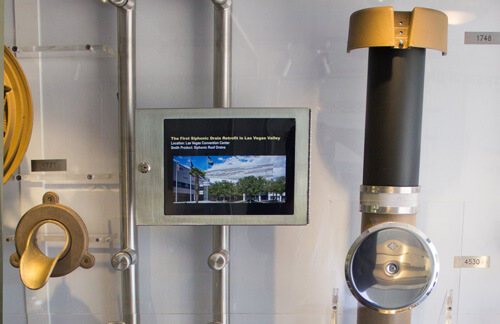 In our brand new Mobile Showroom, we feature a wide array of quality Smith products, including floor & trench drains, water closet supports, trap seals, access doors and much, much more. Click on the images below to take a virtual tour of the Smith Mobile Showroom. Jay R. Smith Mfg. Co. is on the road, showcasing many of our drainage and plumbing products in multiple cities around the country. For information about when the Smith Mobile Showroom will be coming to an area near you, please contact the Smith Sales Department at 800-GO-SMITH (800-467-6484), or contact your local Smith Representative by clicking here! 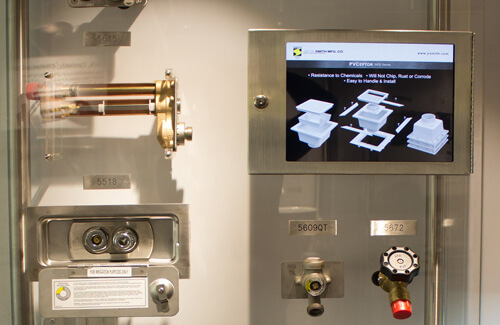 Utilize our Mobile Showroom’s iPad touchscreens. Learn more about particularly exciting Smith products including Enviro-Flo II trench drains, PVCeptor plastic floor drains, Quad Close “Stink Stopper” trap seal device, access doors, hydrants and more. Simply sign up to stay connected with us! For ninety years, Jay R. Smith Mfg. Co. has manufactured only the highest quality plumbing and drainage products. Keep an eye out for our new Smith trailer coming to an area near you. 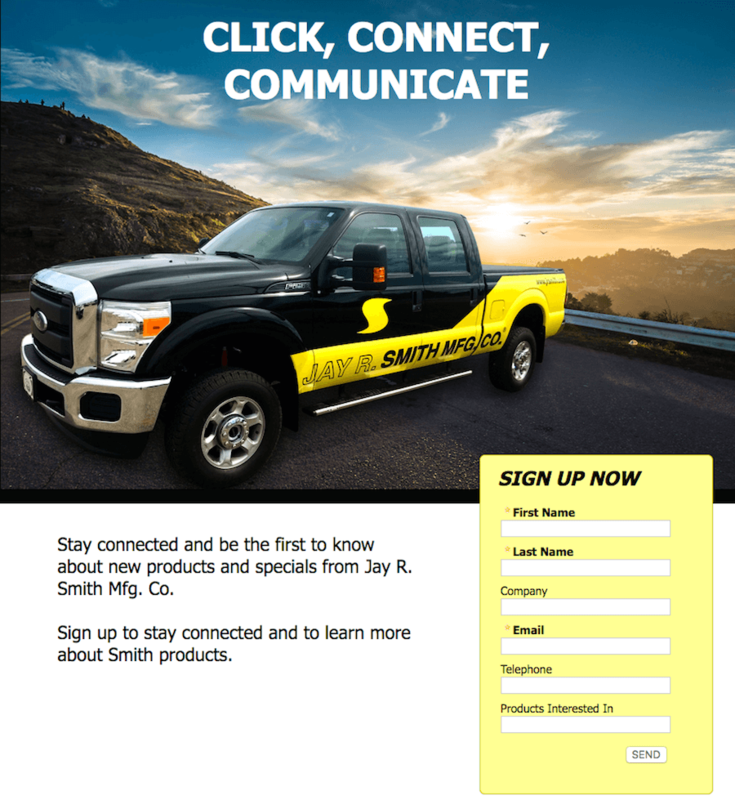 Sign up to stay connected and to learn more about Smith products.